Natural fur clothes have always been in demand among the more fashionable people in the world. However, maintaining it is a different matter altogether. You have to take special care so that it retains its classy appearance. The first thing that everyone should do is test the product. Some organizations make you believe that its real fur when actually it is a synthetic counterfeit. You can try the ‘burn test’ to determine its authenticity. You have to snip a few strands of fur from an inconspicuous spot and place them on a heat-resistant dish. After that, you will light and match and bring the hairs in contact with the fire. Natural fur will burn quickly, but synthetic ones will melt. 1. Using Hangers: If you’re in search of genuine Fox fur scarves, Natural fur scarves, etc. then you should visit Amifur. They are a company well-renowned for their fur garments and accessories. Now, if you want to store your fur accessories made of animal fur then use sturdy hangers with pads. It prevents the outfit from losing its shape. Make sure that your racks have a long neck so that the garment stays away from the hanging rod. 2. Avoid Plastic Bags: You should never hang fur products in garment bags. You should particularly avoid plastic bags at all costs. They don’t allow the apparel or accessory to breathe. It is mandatory to allow air circulation so that the hide underneath the fur doesn’t crack or dry out. 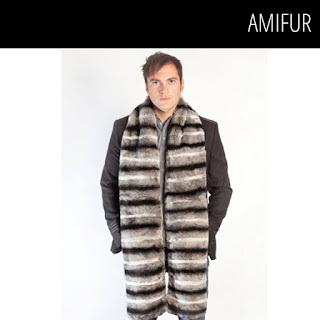 You must use a cotton bag to store the Fur scarves for men which you buy from Amifur. Washing the cotton bag isn’t an issue either. 3. Jewelry and Shoulder Bags: You should never leave any piece of jewelry pinned to the coat because it can mat the fur. It is also essential for you to avoid carrying a shoulder bag on one side. You should shift the bag from one shoulder to the other frequently. Otherwise, its strap can wear away the hairs of the coat and create a bald spot. Collars of all clothes get dirty from body soil that accumulates around the neck. You can wear a scarf with it to prevent soiling the collar. 4. Perfumes and Hairsprays: It is best if you avoid applying hairsprays or perfumes when you’re wearing the fur accessories. Most manufacturers of fragrances use alcohol in their formulas. This alcohol will dry out the hide very soon. A few hairsprays contain oils which penetrate the fur and turn rancid. Once that happens, you’ll find it impossible to remove the foul odor. 5. The Way You Sit: You must take off your coat if you have to sit for a long time. By doing so, you’ll prevent the fur from crushing. If you can’t take it off, then you have to change positions very often to avoid spot crushing. It will be wise to remove the coat and place it on your lap. It’ll act like a blanket to keep you warm. Fur is a mixture of form, function, and beauty. Garments made of real animal hair can be the wearer’s best friend and the most stylish accessory. By throwing a scarf carelessly across your shoulders, you look fiendishly handsome or pretty. If you love your fur accessories, scarf, or hat, then you have to protect it. With the tips given above, you can bestow a long life to your fur item. Get the stylish and fashionable accessories from widest collection of Fox Fur Scarves. Best brand comes forward with the latest fashion statement. Do you want to upgrade your personal style with the latest collection of winter items? Ditch the conventional method of shopping and go online to browse through current fashion trends. Fur is the hype of this year and become an icon by obtaining the furry beauty from the best brand. When the festive season is around the corner, give yourself the joy of shopping at the greatest online shopping platform. Nowadays men are ahead in the fashion game and can give any woman a trendy competition. Latest style in the industry includes Men's Fur Accessories that keeps you warm from Amifur and modish even the temperature falls down. Finest quality fur scarves are available in different colours and you can accessorize any outfits with trendy items this winter. Though premium quality furs are quite expensive in the stores, but if you get it from the leading online brand, you can get the handmade products without burning a hole in your pocket. Plus, the good quality clothing item can save you from the wintry drizzles and keeps your neck warm. · Arctic Platinum Fox Fur Scarf: The most exotic and beautiful in the collection is this handmade and a right choice for the winter. Not only they impart a chic look to your outfit, it also offers comfort, warmth, elegance and extra charm to your personality. Therefore, posses this latest thing and walk in style. .
· Pink Fox Fur Scarf: This is something that screams ultra fashion and is extremely fashionable to go out in the cold weather. Most popular among college students, this item can protect your skin from harsh climate. The best brand offers affordable price range and it is the most bought item of this year. If you are fashion crazy, this is the perfect fit in your wardrobe. 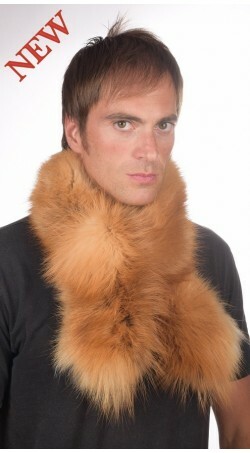 · Brown Fox Fur Scarf: This age-old style remains the favourite item of fashion mongers. With a hint of elegance and modern outlook, you can turn heads in the Christmas party. Also handmade and exceptionally comfortable along with keeping you warm these are available in various styles. . Do purchase this hottest trend from the best online site and never go out of style. 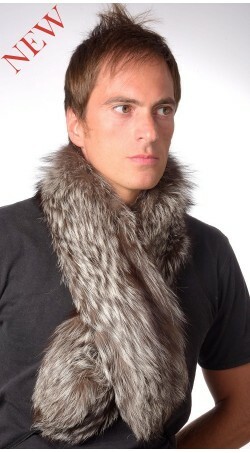 Modern scarves made from different varieties of fox furs are latest this season among men. If you do not want to follow the outdated trends and want to experiment with new items then visit the best online brand for extremely trendy and fashionable products those are comfortable and super cool at the same time. Stay warm this winter by draping a scarf! If there is one dress accessory where men have abundance of choices it is hats. Hats can serve as protective headgear in winter and they can be worn to accentuate style. Men can look dapper, suave, dashing or utterly stylish depending on the hat and how well it harmonizes with the dress. These hats and mutations of various forms of caps sit on one side. 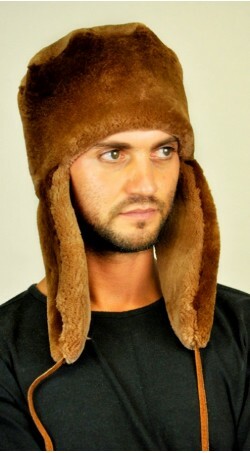 On the other side of the divide, you have men’s fur hats made of genuine fur by Amifur. If you want uber stylish looks besides warmth in winter there is nothing like fur hats. Here too, there are variations on the fur theme to help you fit hats to the occasion. 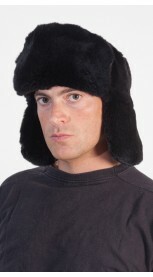 The ushanka or Russian style fur hat is just perfect. There is a generous amount of fur. It does not weigh much and you can keep it on all day and all night when it goes several degrees below zero. The generous ear flaps that can be buttoned below the chin add an extra edge of comfort and warmth for your neck and ears. Your nose may turn blue but your head stays warm. Don a gorgeous silver tip fox fur hat. Since you will be indoors you can tuck the ear flaps inside the hat, roll or fold the sides inside and you have stylish headgear that will set you apart from the crowd. 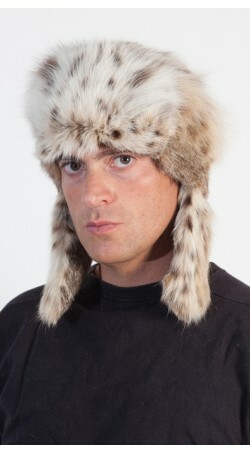 Amifur’s men’s fur hats made of authentic beaver, sable or silver fox fur hats are trendy and that is an understatement. A Russian style hat has lots of fur on top and by the side so it may be overkill for any formal occasion where you may find the fox fur hat with a visor more suited to the situation. It does not call attention to itself but still makes you look impressively stylish. If you are a fur hat then it is a good idea to keep your men’s fur accessories for another occasion. You cannot have too much fur. You could blend in with the crowd or, better still, make a unique statement with the genuine fox fur or sable fur or raccoon fur coonskin cap with a full furry covering for your head and a trailing tail at the back to go around your neck. While the others shiver, you prance and dance, your ears and neck kept warm by the fur. Why stick with only one style of fur hats for men? 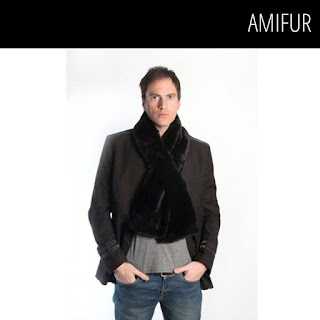 Amifur fur hats and fur accessories for men are so affordable you can buy a least a half dozen different fur types and styles to suit every occasion or mood. Hats are mandatory in the cold winter season. We talk about the best way to wear fur hats by Men as per the latest industry trends. The relation of man and hat is long. Earlier men wore hats which signified their official designation in the royal kingdoms. They were made with the best quality materials as they were worn throughout the year. But now with the changing time and trends they are worn only at the specially occasion and that too mostly during the winters. These hats are certainly made with the best quality materials to sustain the cold wind in the winters. The Sable fur hat is the topmost Russian fur hat designed by the best online store for both men and women. They are comfortable, stylish, and perfect for this cold winters, comes in wide range of colors and designs, and gives you smart look. You can get the best quality sable fur hats at leading shops. They are stitched in Italy and available at best rates. 1.The Possum fur hat: Made with the premium and the finest quality fur, which are sourced directly from the top most suppliers. These are handmade, are pocket friendly and created with extreme detailing and are designed by the best of the teams. 2.The Raccoon fur hat: The idea was initially derived from the materials used in the long coats, wore by American youth and college goers during the early 1920’s. It was a must have during those times. These Mens Fur Hats from Amifur are long lasting if they are handled with care. They are marked by the distinctive tail at the back. It is found all over USA, Southern Canada. Keep these hats wrapped in cloth. Keep them with within boxes or your cupboards and wardrobes. While buying be sure with the hat’s size. So the next time you want to shop hats for your boyfriend, father or brother, do check out the official site of the top sellers. The top brands can give you the best from the rest, and is a one stop house for hats for both men and women. Winters should be beautiful and make it more stylish and fashionable by gifting it to your loved ones. So do not wait, try these exquisite hats and be a trendsetter amongst peers and groups. Winters are here again, and it is the time of the year when woolens are taken out from cupboards, and wardrobes after a span of one year. Although you might think that there is not much of a fashion in winter wear, you are wrong, because even winter wears are worn with much style and class, as they add a smart look to their wearer, who can flaunt themselves while keeping themselves warm from the shivering breeze outside. According to the recent trends in winter fashion, the furry clothing materials are making for a comeback, and therefore they are becoming immensely popular among people who are conscious about their looks as well as what they wear , even if it is to keep them comfortable and warm during the winter season. The range of Men’s Fur Accessories like scarves, hats, neckbands, collar-bands, shawl-scarves of the renowned online store also come in different colours and you would definitely love the smooth and softness of furry wear on your body. The proper guide to wearing Men’s Fur Accessories from Amifur like Golden sable fur scarf, Cream polecat fur scarf, Dark Brown Karakul fur scarf by Online store is to just team any furry head gear with a contrasting jacket or trouser, or a suit and you would look simply dapper. Among the furry clothing, there are coats, jackets, shawls, scarves, headbands, hats, caps, and many more that are also winter essentials that you can easily buy from any fur clothing specialist in your town or city. Whether you are buying or any other scarf to keep your neck warm from the sudden bursts of the freezing cold wind outside, or you are going to attend any formal or informal occasion, you need to keep few things in mind before selecting the favourite one for you that will last long and would look equally stylish on you. Check both sides of the scarves to see whether the design, pattern, colour, and the threads are strong, and they do not fade just after one wash. Try to buy long scarves, as they enhance your overall look and make you look taller, and the elongated fall improves your winter fashion style. Wear in a simple drape or a long loop and you are ready to impress. The guide to wearing scarves is easy, and if worn in a proper way, they can be a fashion inspiration, and influence to your peers and your close friends. As fur scarves have become trendier, and are expensive yet a onetime investment that you will never regret, there are few styles to wear these. There are majorly six different yet eye-catching ways to wear your scarves the right way this winter. Once around are the styles. Check the different online websites and follow the guidelines under whichever style of draping you want for your neckwear, and you are ready to rock the streets this winter. Picking the right garment totally depends on a person’s style statement. Your taste in a fashion clearly reflects from the choices you make. The winter season is a tough time to reflect your style statement in the crowd. The overwhelming layers of winter clothes do not allow you to add a chic quotient to your attire. This is why the majority of the savvy fashion aficionados prefer wearing fur hats in the winter season to look different and stay warm. The ladies also prepare for the winter by buying the best fur hats and pair them with the beautiful garments they own. Amifur presents the leading collection of real fur hats to try this winter. The brand dedicatedly designs the best hats and use 100% genuine fur to give them a proper shape that everyone admires to possess. The collection of hats in this online store will surely leave you spellbound. Let us find out a glimpse of this collection for this winter season. 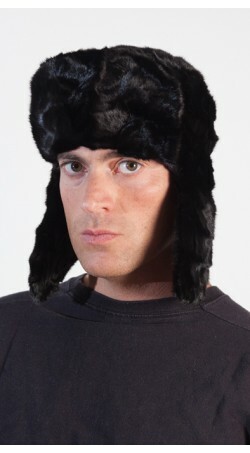 The fur hats designed for men impart a high degree of masculinity in the attire you choose to wear. Apart from design, the hats are highly effective in averting cold and keeping your head warm all day long. The lightweight hats come with a comfortable inner lining with fur on the outer side to keep you cozy and warm. Here is the list of fur hats for men you will find amazing. The Russian-style hat comes with an ear covering and an extended part to cover the lower-back part of your head properly. This design comes in Crystal fox fur hat, golden fire fox fur, grey fox fur, lynx fur, mink fur, Polecat fur, Chinchilla fur, Rex Fur, etc. There are different types of colors available in every segment. You can either choose for an artificial color or go for the natural tone of the fur. The Lynx fur hat is the most popular in this segment. The Ushanka style is closely related to the Russian style but it comes with a pair of strings attached at the end of the ear flaps. These strings can be tied to keep your neck and ears warm during a blizzard. This style does not come with a visor. The ladies will also find various styles and designs in this segment quite adorable. The same style is also available for the ladies. It is also made with various types of fur. 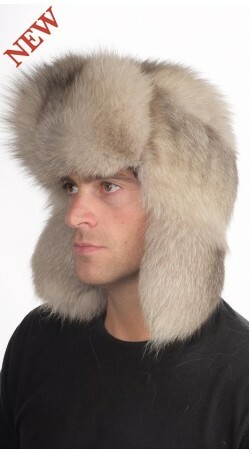 The most popular among the items is the Rex Chinchilla Fur Hat. This is a classic style that has been ragingly popular in the market for decades. 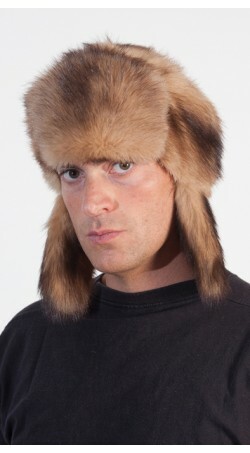 This hat is made with various types of furs. It does not have ear flaps. These hats come with ear flaps and a pair of laces at the end. Redefine your style statement with these real fur accessories. Find the best real fur hats from the collection and beat the winter easily. Gone are those days when men had a limited number of winter accessories to adore. Now that all the fashion accessories are remade with a different style and look, men can now find the elegant ways to flaunt scarves like women do. The scarves have been a great addition to the style statement of men. The different materials chosen to manufacture scarves define the style and the price of the items. Among all, fur is the best material for the scarves. It not only serves the purpose of keeping you warm but also ensures that your fashion statement is at the top of all. How to Style the best Scarves? 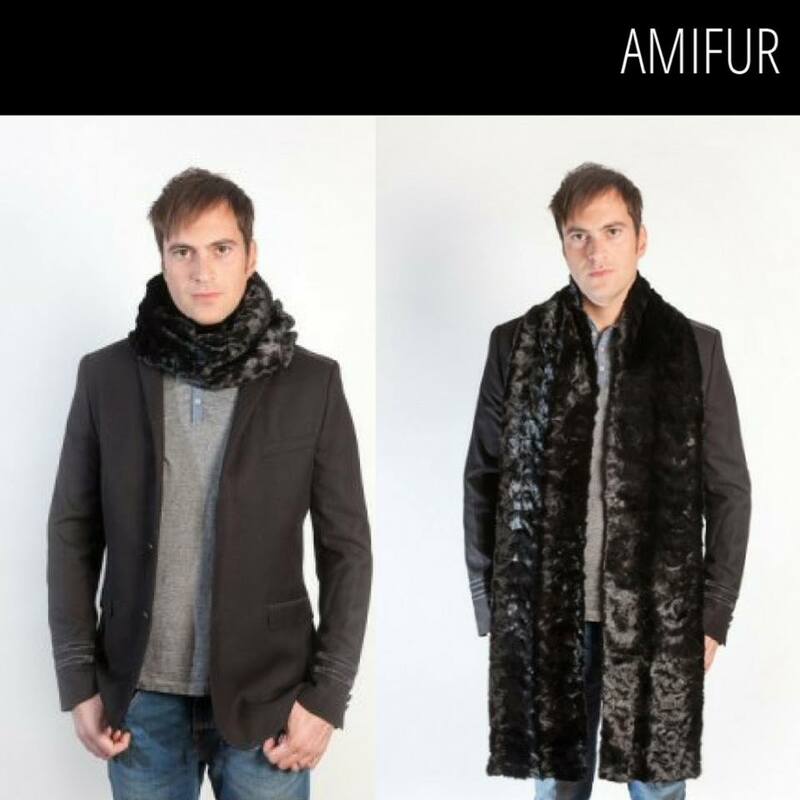 This winter is going to be the best fashion season when you will find the exotic Men’s Fur Accessories from Amifur. 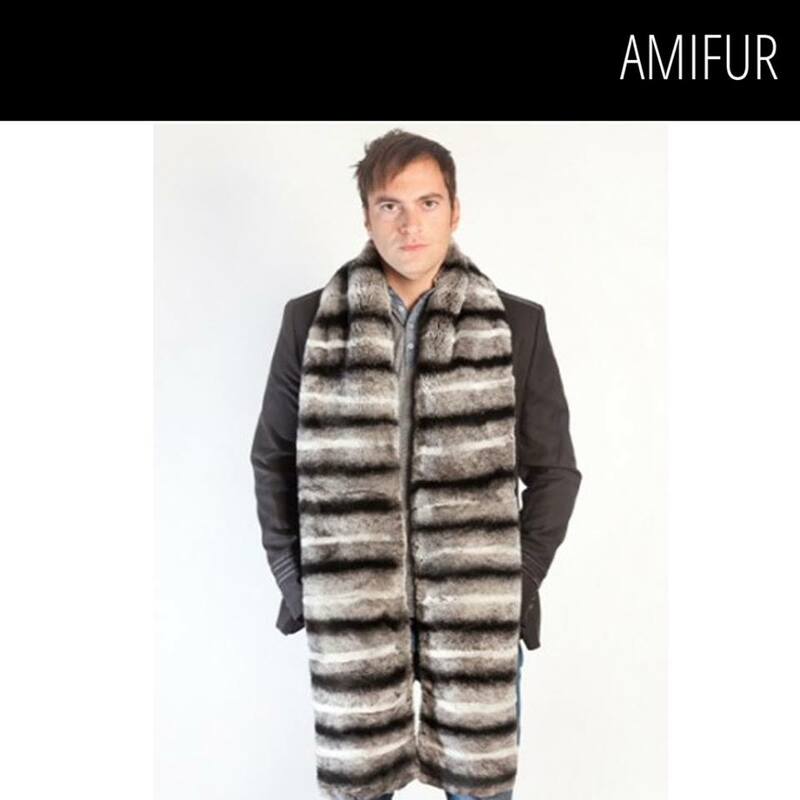 The online store offers the ideal collection of beautiful and stylish fur accessories for men to find and own. The accessories made of exotic furs will make you look bold, stylish and will keep you warm in the winter. Find out how you can flaunt these beautiful scarves from the collection this winter. Parisian Knot: Join both the ends of the scarf and make a single fold. Now drape the Golden sable fur scarf lengthwise along your neck. Introduce both the ends through the loop at another end. Tighten the scarf length around your neck by pulling the end. Make it a comfortable loop around your neck and flaunt the Parisian knot with your blazer, overcoat, or cardigan. Fake Knot: Keep one side of the Cream polecat fur scarf a little bit longer than the other side. Make a knot in the longer side and introduce the other end of the shorter side into the knot. Hold both the ends and tighten the knot until it reaches your neck. This false knot style will surely bring a new charm to your looks. This knot gives a warmer wrapping around your neck when the temperature drops. This knot looks better with your sweaters, cardigans and overcoats. Reverse Drape: This particular style is the exact opposite of the draping the scarf. Take your Dark Brown Karakul fur scarf and hang it on your neck making two equal lengths hanging in the front. All you have to do is to wrap both the hanging lengths backward to form a loop in the front part of your neck. The extra lengths will hang on your back now. This setup is ideal when you wear a full sweater or a v-neck woolen t-shirt. Front Drape: Like the previous setup, this is just a simple one to follow. All you have to do is to hang the scarf from your neck equally and leave it hanging from there. A part of the hanging scarf will be revealed from the collars of the blazer or overcoat. This style can be adorned during the daytime to feel comfortable. Wrapping Up: Scarves are the one of the popular Men’s Fur Accessories in the aforementioned store. Find the best items made of real fur and flaunt them this winter to make the onlookers jealous.